Step 1. Take the ring under the pillow and use it to open the small jewelry chest. Step 2. Take the cloth, from under the chest, .and use it to clean the round mirror on the wall. Step 4. Use the crowbar to open the box under the bed. 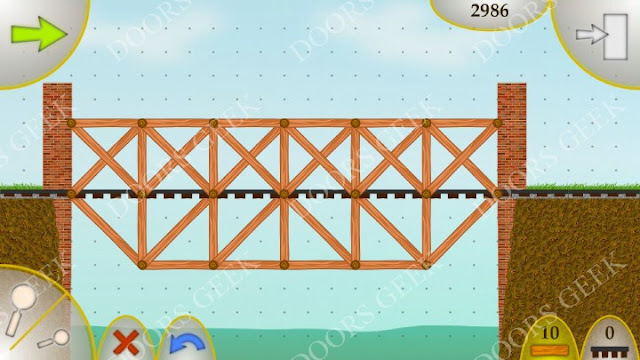 Add the missing piece to the painting puzzle and solve it to get the key that opens the main door. 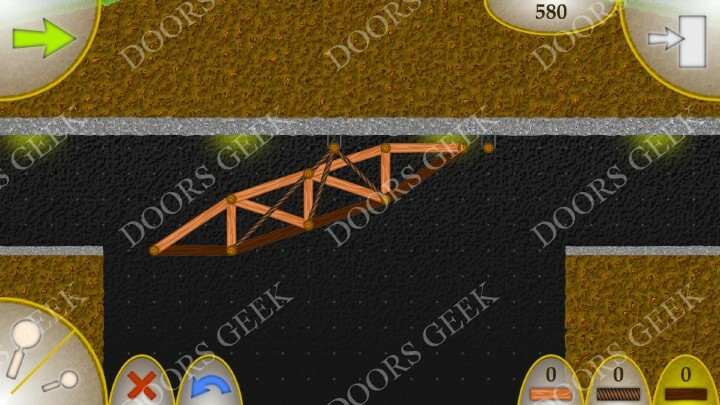 Escape game : 50 rooms 1 Level 10 Walkthrough, Cheats, Solution for Android, iPhone, iPad, iPod. Step 1. Take the key from the flower pot and use it to open the drawer. Step 2. Under a pillow you'll find a fishing pole and under the table scissors. Step 3. 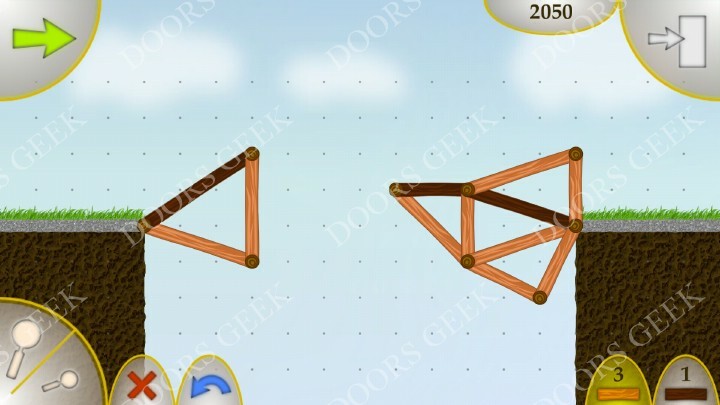 Combine the 3 elements and use the fishing rod on the fish tank. Step 4. Take the piece of paper on the table and combine it with the item you fished. It will show you the code 6832 that opens the cabinet. Step 6. Use the keycard to open the main door. 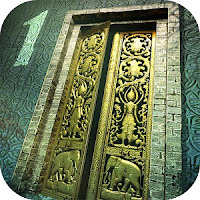 Escape game : 50 rooms 1 Level 9 Walkthrough, Cheats, Solution for Android, iPhone, iPad, iPod. Step 1. Look for the 3 missing jigsaw puzzle pieces. Solve the jigsaw puzzle and you'll find the combination the opens the small chest. Step 2. Use the 2 rings to open the clock and set it to 6:15. Step 3. Use the key to open the main door. Escape game : 50 rooms 1 Level 8 Walkthrough, Cheats, Solution for Android, iPhone, iPad, iPod. Step 1. Take the screwdriver from the wooden box and use it to break the wall on the right. Step 2. Use the hammer to break the small pot on the floor. Step 3. The scroll you found tells you the code that opens the statue on the left. Step 4. You should now have 3 of the artifacts that opens the door. The 4th artifact is behind the head of the statue on the right. 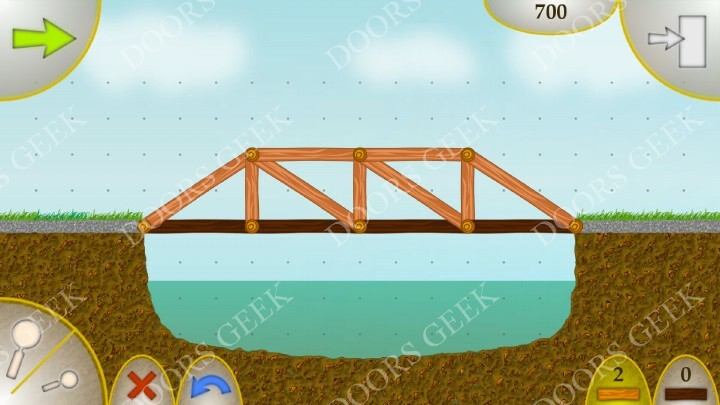 Escape game : 50 rooms 1 Level 7 Walkthrough, Cheats, Solution for Android, iPhone, iPad, iPod. Step 1. Get the wood handle and hammer head from under the pillows. Combine them to make a hammer. Step 2. Use the hammer to break the wood blocking the code panel. Step 3. The code is 536, it's hinted around the room. The numbers poster read 1, 6, 4. 3, 2, 5. The colors below tells you the color of each number. The painting with the flowers tells you which numbers to choose and in what order, BLUE, RED, YELLOW. Escape game : 50 rooms 1 Level 6 Walkthrough, Cheats, Solution for Android, iPhone, iPad, iPod. Step 1. Take the remote from the drawer and the batteries from the closet. Combine them and turn on the TV. Step 2. Use the code 1906 to open the safe next to the mirror.. Step 3. Now use the key to open the drawer next to the bed. Step 4. Use the blue card to open the main door. 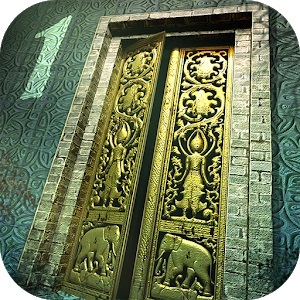 Escape game : 50 rooms 1 Level 5 Walkthrough, Cheats, Solution for Android, iPhone, iPad, iPod. Step 2. Make the burger on the red tray than put it in the burger machine to obtain the key that opens the main door. 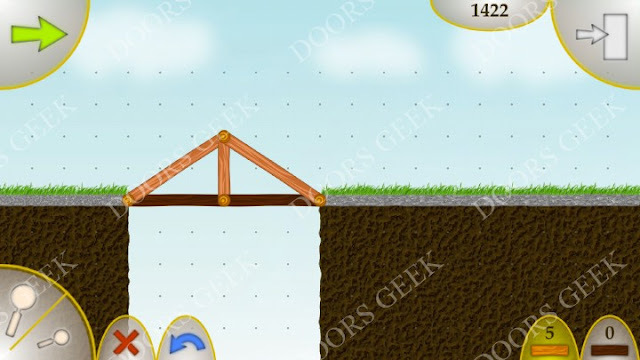 Escape game : 50 rooms 1 Level 4 Walkthrough, Cheats, Solution for Android, iPhone, iPad, iPod. Step 1. There's a key under one of the pillows. Use it to open the drawer next to the sofa. Step 3. The pattern on the screen shows you how to open the pink door. Step 4. Take the key and use it to open the main door. 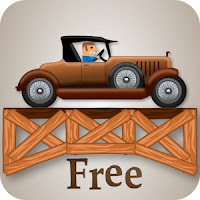 Escape game : 50 rooms 1 Level 3 Walkthrough, Cheats, Solution for Android, iPhone, iPad, iPod. Step 1. Take the key from the flower pot and use it to open the cabinet. Step 2. The note says TAKI, that's the password for the notebook. You will see another code on the screen: 1886. This one opens the box on the cabinet. Step 3. Take the key card and use it to open the door. Escape game : 50 rooms 1 Level 2 Walkthrough, Cheats, Solution for Android, iPhone, iPad, iPod. Step 2. Take the other half of the screwdriver form he junk pile. Step 3. Combine the 2 parts and use the screwdriver on the 1P box. Step 4. Connect the cable to the TV and turn it on. The pattern is the solution for the 2P panel that opens the door. Escape game : 50 rooms 1 Level 1 Walkthrough, Cheats, Solution for Android, iPhone, iPad, iPod. Escape game : 50 rooms 1 Walkthrough, Cheats, Solutions for all 50 rooms. 50 different styles of rooms. Let you constantly observe, judge, calculate, until escape. 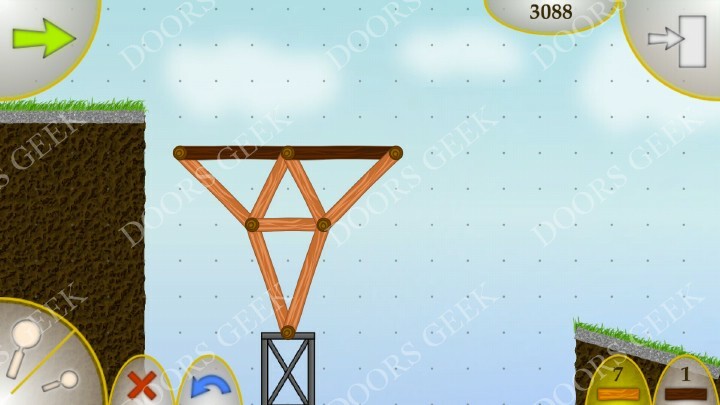 Some rooms are quite tricky to complete, and you will probably get stuck a lot in this game. This page will help you find the solutions for every single level in Escape game : 50 rooms, just pick below the level you're interested in and you will get step by step instruction on how to complete the level. 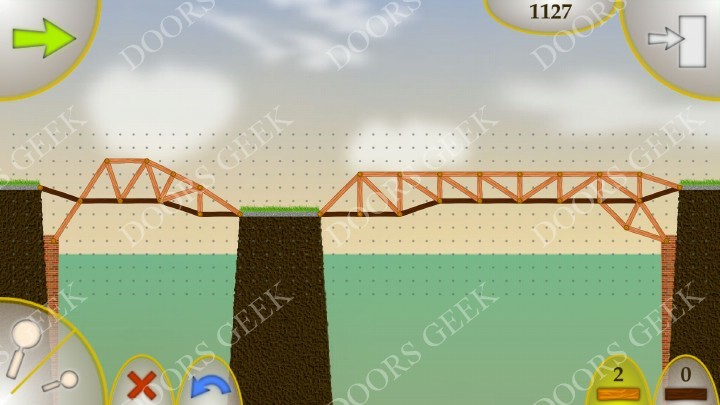 Wood Bridges walkthrough, cheats, solutions for all 10 levels in free version. 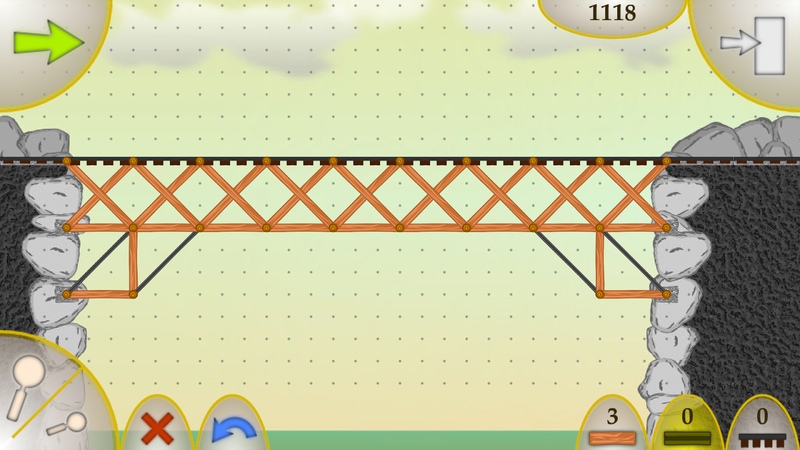 Use your fingers to build wood bridges and let the vehicles cross them. 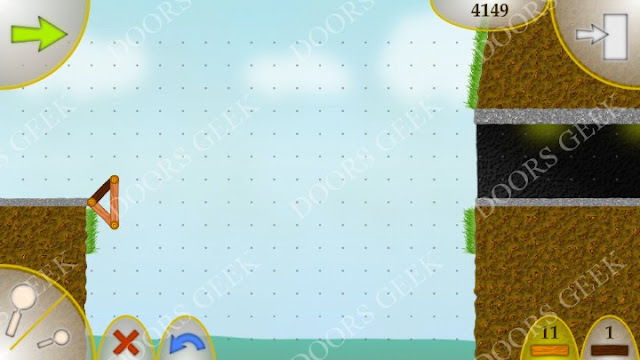 Use as less material as you can to get the highest score. 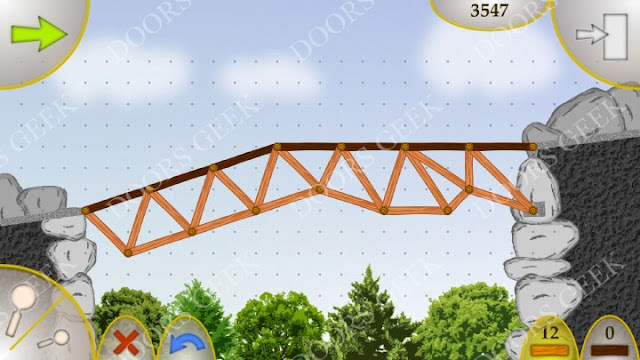 If you can't pass one of the first 10 levels in Wood Bridges FREE, the images below will show you how to build each bridge.